Endomychidae was a personal project I used to help develop advanced workflows focusing on modeling, texturing and rendering. I used a pipeline ranging across software such as ZBrush, Headus UV Layout, Mari, Maya, Arnold & Nuke. I also experimented with photogrammetry (3D scanning) when creating geometry for the 3D scene in which the beetle is walking along a wooden log. The scan data was tidied up in ZBrush and then used in Maya for rendering contact shadows and creating indirect light bounce. It was also used in 3DEqualizer & Nuke to help with the camera tracking. See below the final shot I have been working towards. I am very pleased with how he turned out and am feeling inspired to get started on another learning adventure. 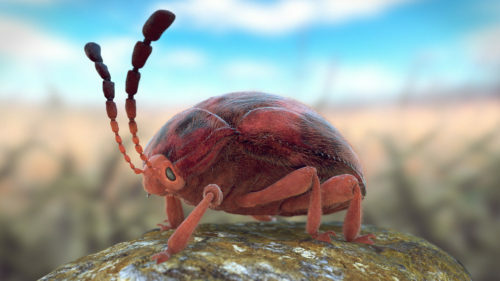 See below the final look dev turntable of the Endomychidae beetle character.